New on vinyl for the first time! Numbered 180-gram double LP limited to 3,000 copies! 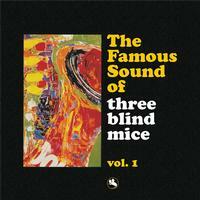 By 1998, interest in Takeshi "Tee" Fujii's phenomenal success with his Three Blind Mice jazz label led him to make a compilation of his favorite tracks. He chose across a wide swath of recordings between 1973 and 1978 for the resulting album, which he titled The Famous Sound of Three Blind Mice, Vol. 1. The most popular tunes ("Blow Up", "Misty", "The Lady Is a Tramp", "Scandinavian Suite", and "Midnight Sunrise") were all included. Japanese, German and American CDs provided fans around the world access to Tee's singular vision and taste. It's only now, for the first time ever, a 180-gram LP has captured the excitement and sonic detail of these seminal tracks. Impex's deluxe set includes 10 tracks, mastered by Chris Bellman at Bernie Grundman Mastering, and spread across four heavy-vinyl sides that let the music "breathe" like never before. This gatefold jacket features new art recreating the feel and style of TBM's designer Ben Nishizawa. Take advantage of this rare opportunity to own Fujii-san's favorite tunes in this deluxe, reference-quality package!